Anirdesh is a site dedicated to Gujarati and Gujarati content. This site started with a tutorial on how install and type Gujarati on Microsoft Windows, Mac OS X, and Linux. Eventually, however, I have started providing content in Unicode Gujarati, including the Vachanamrut, Swamini Vato, Kirtan Muktavali, and Bhaktachintamani. The goal of this site is to continue to provide more Gujarati content in Unicode format and encourage others to develop and provide Gujarati content in Unicode format. January 2019: The Vachanāmrut is a collection of 273 discourses delivered by Bhagwān Swāminārāyan during the last ten years of His life, between 1819 CE and 1829 CE. These discourses were compiled by four of His pious and scholarly renunciants: Gopālānand Swāmi, Muktānand Swāmi, Nityānand Swāmi and Shukānand Swāmi. The scripture encapsulates the very essence of the principles and philosophy of the Swāminārāyan Sampradāy and is thus most foundational. Read the complete text of Bhagwan Swaminarayan’s Vachanamrut in English or Gujarati. The site has been completely redesigned with new information added. History of some Vachanamruts, mahima, nirupan, and prasangs have been added. ભગવાન સ્વામિનારાયણનાં વચનામૃત આ સાઈટમાં અંગ્રેજી અને ગુજરાતી ભાશામાં વાંચવા માટે, શ્રવણ કરવા માટે, અથવા અભ્યાસ કરવા માટે સુંદર રચના કરી છે. અભ્યાસ માટે અમુક ચૂંટેલાં વચનામૃતોનો ઇતિહાસ, મહિમા, પ્રસંગો, અને નિરૂપણ ગુજરાતીમાં ઉપલબ્ધ છે. The teachings of Gunatitanand Swami are highly respected as a unique and insightful commentary on Bhagwan Swaminarayan’s Vachanamrut. These teachings are a goldmine of practical spiritual wisdom and guidance, clarifying issues of practical and philosophical importance to all genuine spiritual aspirants. If you want to read the short version of Swamini Vato, see 200 Swamini Vato. These are great for memorizing. December 3, 2018: પૂર્ણ પુરુષોત્તમ ભગવાન શ્રી સ્વામિનારાયણના અનન્ય અનુગામી અક્ષરબ્રહ્મ ગુણાતીતાનંદ સ્વામીની વાતો સંપ્રદાયમાં, ભગવાન સ્વામિનારાયણનાં વચનામૃતો પરના ભાષ્ય તરીકે વિખ્યાત છે. સાદી, તળપદી અને સચોટ શૈલીમાં અનુભવપૂર્ણ જ્ઞાન પીરસવામાં ગુણાતીતાનંદ સ્વામી અજોડ હતા. તેમના પ્રત્યેક વચનમાં સનાતન સત્ય ભંડાર્યું છે. સને ૧૯૭૪માં બોચાસણવાસી શ્રી અક્ષરપુરુષોત્તમ સંસ્થા દ્વારા પ્રકાશિત ‘સ્વામીની વાતો’ના ભાગ-૨ તરીકે ૮ થી ૧૪ પ્રકરણોમાં સંગ્રહાયેલાં ગુણાતીતાનંદ સ્વામીનાં અમૃતવચનોમાંથી ચૂંટેલાં વચનો વિષયાનુસાર સંકલિત કરીને અહીં પ્રસ્તુત કરવામાં આવ્યાં છે. ભગવાન સ્વામિનારાયણના સર્વોપરિ સ્વરૂપના ઉદ્‌ગાતા ગુણાતીતાનંદ સ્વામીનું અનુભવપૂર્ણ જ્ઞાન અહીં વિવિધ ૩૨ વિષયોના અમૃતકળશ રૂપે સંચય પામ્યું છે. બી. એ. પી. એસ. કીર્તન મુક્તાવલી ભાગ ૧ અને ૨નાં કીર્તનો આ વેબ સાઈટમાં ઉપલબ્ધ છે. આપ કીર્તનો અનુક્રમ, રચઈતા, કૅટેગોરી, અથવા પ્રકાશીત ‌ઑડીયો કૅસેટ/સી.ડી. પ્રમાણે શોધી શકો છો. This mobile-friendly and desktop-friendly site includes all kirtans found in the BAPS Kirtan Muktavali Parts 1 and 2 and other newer unpublished kirtans in Unicode Gujarati and English transliteration. Oct 16, 2016: Kirtan text has been updated from plain text to formatted text. Hope everyone will welcome the new change! January 15, 2019: શ્રીહરિલીલામૃત ગુજરાતી સાહિત્યની દૃષ્ટિએ ઉત્તમ લેખાતો, સંપ્રદાયની ઐતિહાસિક વિગતોથી સમૃદ્ધ એવો ગ્રંથ છે. આ ગ્રંથ કવિશ્રી દલપતરામની કલમે લખાયેલ છે અને આચાર્યશ્રી વિહારીલાલજી મહારાજના નામે પ્રસિદ્ધ છે. છંદની ગૂંથણી સાથે ચિત્ર-પ્રબંધની એક વિશિષ્ટ શૈલી તે સમયમાં હતી તે આ ગ્રંથમાં જોવા મળે છે. The Harililamrutam is a treasure-filled granth in the Gujarati literature. Written by the poet Dalpatram and penmanship given to Acharya Shri Viharilalji Maharaj, the granth is a chronicle of Shriji Maharaj’s divine incidents. The granth is written in various chhands, adding various sentiments to the incidents. Moreover, the granth imparts practical words of wisdom. Slowly, the text to Nishkulanand Kavya is being added. The text is available with footnotes explaining meanings of esoteric words. Audio of all the Prakarahs of Purushottam Prakash and Chintamanis from Hari Smruti have been included so you can sing along. Read the Bhaktachintamani by Sadguru Nishkulanand Swami. These pages contain the 164 prakarans of the Bhaktachintamani in Unicode Gujarati, Harikrishna Gujarati, and English transliteration. Titles have been given to the prakarans to aide in finding prakarans. The Bhaktachintamani is a large granth. To read the essence of the Bhaktachintamani, see Chintamani Sar. April 1, 2018: ♬ The audio to the Bhaktachintamani has now been added. આ વેબસાઈટમાં સદ્‌ગુરુ નિષ્કુળાનંદ સ્વામી રચિત ભક્તચિંતામણિના ૧૬૪ પ્રકરણ ગુજરાતી અને અંગ્રેજીમાં ઉપલબ્ધ છે. ભક્તચિંતામણિ ખૂબ વિશાળ ગ્રંથ હોવાથી તેનો સાર કાઢીને રજું કરવામાં આવ્યો છે. આ ગ્રંથનો સાર વાંચવા માટે જુઓ ચિંતામણિ સાર. 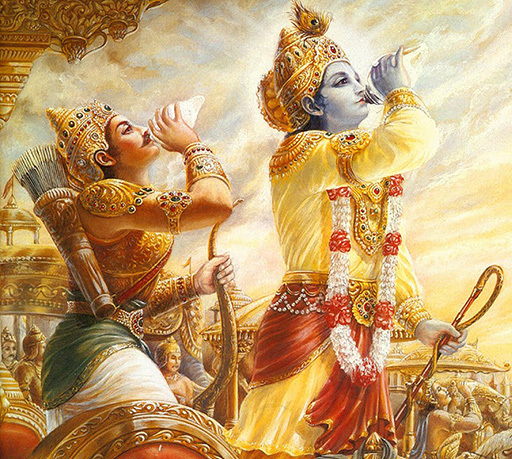 May 26, 2018: The complete Sanskrit text of the Shrimad Bhagavad Gita is now available on Anirdesh.com. June 3, 2018: English translation added. સંપૂર્ણ શ્રીમદ્‌ભગવદ્‌ગીતા સંસ્કૃતમાં હવે અનિર્દેશ દ્વારા ઉપલબ્ધ છે. May 11, 2018: The complete Sanskrit text of the Shrimad Bhagavata Purana is now available on Anirdesh.com. સંપૂર્ણ શ્રીમદ્ભાગવત પુરાણ સંસ્કૃતમાં હવે અનિર્દેશ દ્વારા ઉપલબ્ધ છે. The Satsang Exam books in English have been available for some time in PDF, ePub, and MOBI format. The Gujarati books have only been available in PDF format, however. Filling the void, the Gujarati eBooks in the ePub format are now available from Anirdesh so that everyone can read the books on their mobile device. Prarambh, Pravesh, Parichay, and Pravin books are now available for download. સત્સંગ શિક્ષણ પરિક્ષાનાં પુસ્તકો અંગ્રેજી PDF, ePub, અને MOBIમાં ઘણા સમયથી ઉપલબ્ધ હતાં. ગુજરાતી પુસ્તકો કેવલ PDFમાં જ ઉપલબ્ધ હતાં. આ ખોટને પૂરી કરી હવે અનિર્દેશ દ્વારા ePubમાં પણ બધાં પુસ્તકો ઉપલબ્ધ છે. આશા છે આપને સત્સંગ શિક્ષણ પરિક્ષાનાં પુસ્તકો સુલભ રીતે વાંચી, અભ્યાસક્રમ તૈયાર કરી, પરિક્ષાઓમાં ઉચ્ચ પ્રમાણપત્રો મેળવો. Browser through a collection of shloks, with their meanings, that were released for memorization during Yuva Mahotsav in 1990. The shloks include the complete Shikshapatri in Sanskrut, Gujarati meaning, and “Sanskrit” Gujarati (English meaning coming soon). આ વેબસાઈટમાં શ્લોકોનો સંગ્રહ કરવામાં આવ્યો છે જે શ્લોકો યુવા મહોત્સવ વખતે યુવાનોએ મુખપાટ કરેલો. સાથે શિક્ષાપત્રીના સર્વ શ્લોકો ગુજરાતી અને સંસ્કૃતમાં પણ છે. The pages and content is still under development and will be updated as time permits. This site gives you an overview of a customized tab I created for Microsoft Office Word 2007/2010 Ribbon UI. Gujarati Tab aids in typing Gujarati with Harikrishna-type fonts and Unicode Tab aids typing with Unicode fonts. The tabs also contain useful tools such as converting from non-Unicode Harikrishna fonts to Unicode fonts. This is my tutorial on how to customize the Microsoft Office 2007 and 2010 Ribbon UI. Contains walk-through examples that include how to hide and show tabs, creating a unit conversion tab for Excel, etc. Pharmacokinetics calculations for vancomycin and aminoglycosides dosing. Includes calculations for body surface area, iron-dextran dosing, calcium and phenytoin (Dilantin) correction for low albumin, renal clearnace calculations, and temperature conversions.